The policy in Kiev is being dictated by Washington and by NATO, but it has nothing to do with national interests of Ukraine, geopolitical analyst William Engdahl told RT. RT:So no more delays for Ukraine this time, Russia says no money, no gas. Will this finally push Kiev to pay its debt? 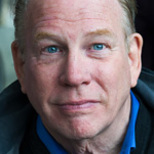 William Engdahl: I think that Vladimir Putin and Aleksey Miller could stand on their heads and spit wooden nickels till the cows come home and that wouldn’t change the situation in Kiev. The reason I say that is because the policy in Kiev is being dictated by Washington and by NATO and not by national interests of Ukraine. This is the Achilles heel of Russia right now in terms of one of them, the major one, the energy flows from Gazprom through Ukraine and to the EU and Ukraine itself, but the main thing is the transit through Ukraine to the EU. This is one reason why Ukraine was targeted by NATO, by Victoria Nuland and neocons in Washington to weaken Russia, to weaken Putin. 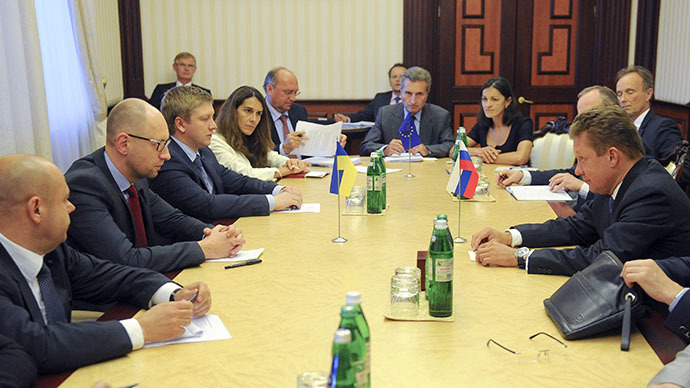 The negotiating tactics of the Ukrainian government in Kiev are simply designed to make someone crazy in Moscow. You appeared to compromise, you appeared to be reasonable, and suddenly everything collapses. Poroshenko had a meeting with Putin and said “We are going to end the fighting in the Eastern Ukraine” and the next day he orders bombing of civilians. So this is a kind of sign up to warfare that is going now, there is nothing to do with national interests, it has to do with a NATO puppet government that is designed to essentially make Putin go crazy. I don’t think that it is succeeding. RT:The EU still says it believes the dispute will be resolved soon. Do you share that optimism? WE: The EU's hands are not clean on the whole Ukraine issue. The EU has tried a couple of times feebly to make compromises. February 21 was a stunning example, and one day later the whole thing collapsed, and the EU Merkel government and other governments that tried to compromise like little puppy dogs lined up behind Washington and supported the neo-Nazi regime, the first since WWII in any country in the world might to my knowledge. The EU is not playing with an honest pack of cards. The EU is making very sly politics on this, but the politics is not being dictated in Brussels or in Berlin, it is being dictated in Washington and that is the alarming thing about all of this. RT:Europe is still set to suffer as the result of the no negotiation being achieved between Russia and Ukraine. What do you think? WE: This is not a simple business energy negotiations, this is war through economic means and other means. People don’t quite get it. This is real serious preamble to WWIII. Certain fractions in the West, very powerful, very rich people, say “We need to go back to the Cold War, even a brutal WWII, a situation when you really have power. We are losing it everywhere, so we have to take drastic means.” That is what is going on. RT:Do you think Russia is to blame for all this? WE: Russia is bent over backwards. I am astonished at the degree of willingness to compromise that the Russian government and Putin and Gazprom are showing in these negotiations. They are not at all to blame on this, they are quite the opposite. They have been owed half a billion dollars since that coup d’état in February or even before and they have been very patient. They even offered very generous terms for the repayment of this debt. They are not to blame.